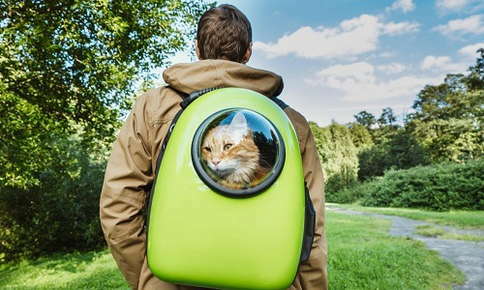 Why are Cat Backpacks All the Rage? "Absolutely love this vet! We are are first time dog owners and always want to do the best by our dog. The vet we were at before made us feel like we were bad dog parents, when in fact we were just unaware of certain aspects to owning and caring for dogs. Tickle-Blagg makes sure to give their advice as a learning opportunity, and doesn't make us feel like we've been judged. I highly recommend this vet!" "15 years with tickle-Blagg, and I would never think of going elsewhere. When a vet calls you and talks personally to you after a visit, you know you have found the best. It is always a pleasure to visit with the front desk, the assistants, and both doctors.Tickle-Blagg is the very best clinic I have found in all the years of owning pets."